Strength and Durability Test: Here's a video showing Buzzy Ribbeck trying to break the tempered glass recently installed by Emil Frei & Associates to protect the clerestory windows. It isn't bullet proof, but it is vandal proof and strong enough to withstand a category 5 hurricane. 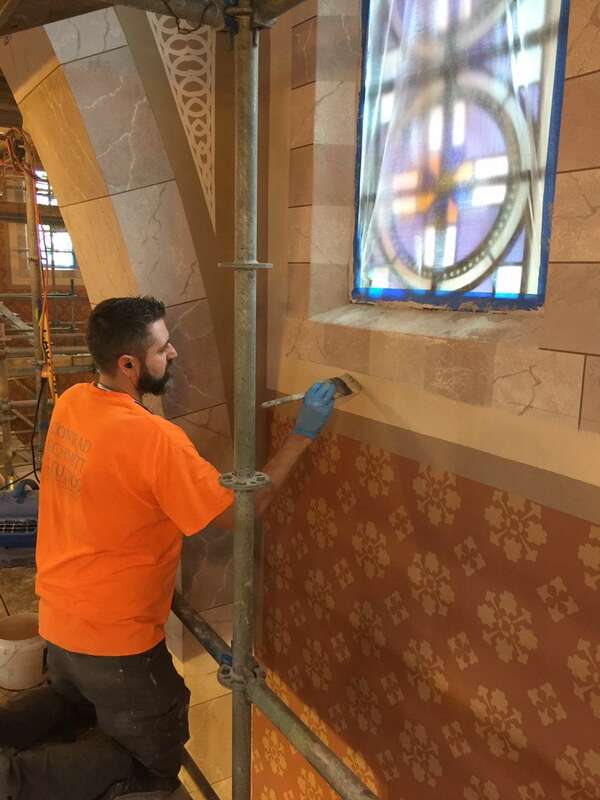 Here's Stephen Frei demonstrating one of the steps in the intricate process of cleaning and restoring the stained glass windows. 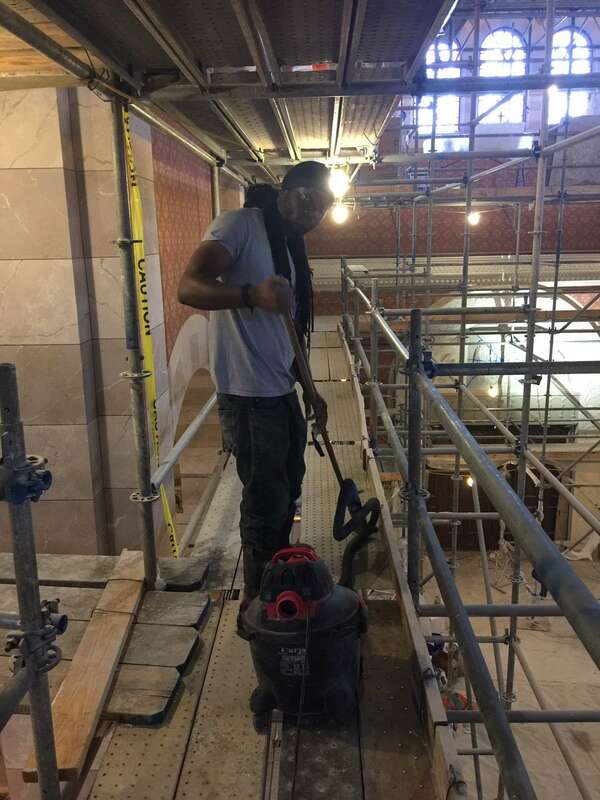 Ricky Solari of Solari Marble & Granite scraping old mortar from the original marble altar rails, which will be restored and reinstalled in the sanctuary. The Solari's, lifelong parishioners of Immaculate Conception parish, were instrumental in installing the three beautiful Carara marble altars in the 1920's. Phil Atilano of Conrad Schmitt Studios painting around the clerestory windows. 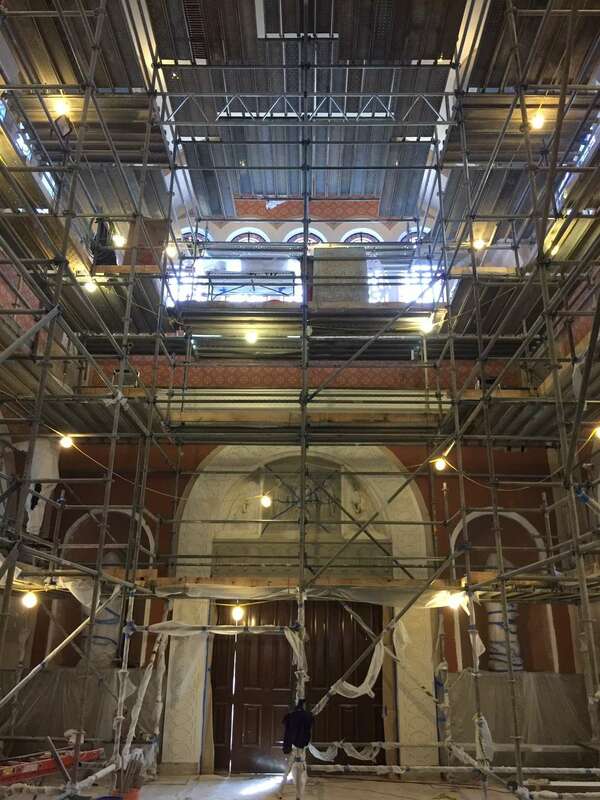 Look at the paint progress on the south transept! 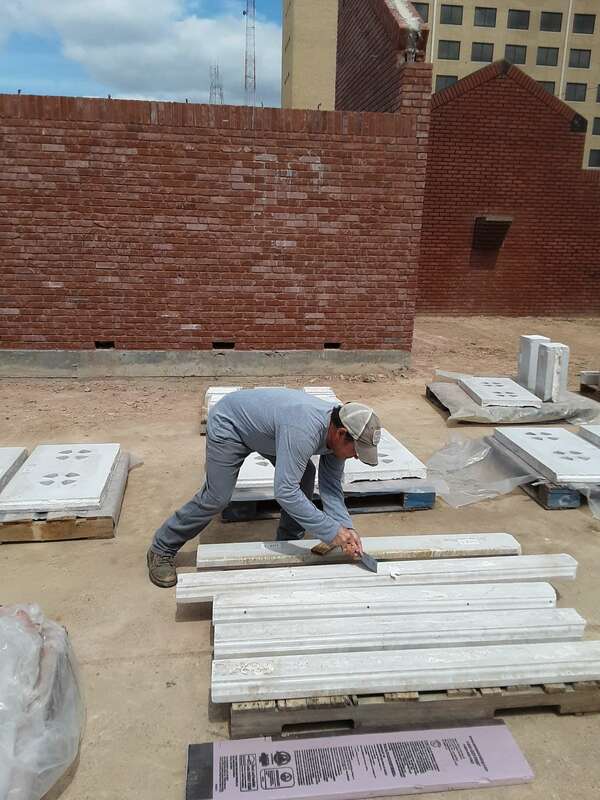 Meanwhile, the clean up crew starts getting the church ready for our open house this weekend. Our next open house is this Saturday, April 6, after the 4:00 PM Mass, and Sunday, April 7, after the 7:30, 9:30 and 11:15 AM Masses.